An article about North West Housing Partnership celebrating our 25th Anniversary was featured in the Chicago Tribune. It describes our celebration at Chandler’s Banquets honoring our roots, and successes over the years. One of West Housing Partnership’s founder members, Kathy Gilmer, reflected about the goals she, and other board members developed as a core mission for the organization. You can read the full article on the Chicago Tribune website. 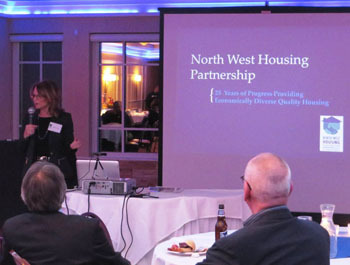 North West Housing Partnership (NWHP) promotes public and private partnerships that create and preserve cost-effective quality diverse housing for low to moderate income residents and workers through housing development and renovation, education and advocacy. The North West Housing Partnership program services areas include Des Plaines, Hoffman Estates, Schaumburg for the home repair program; Bellwood, Berwyn, Maywood, Oak Park and Forest Park for single family for sale housing program; and other parts of the northwest suburbs and Chicagoland area for senior rental housing and for sale housing. For more information about NWHP programs and service areas, please call us at 847-969-0561. 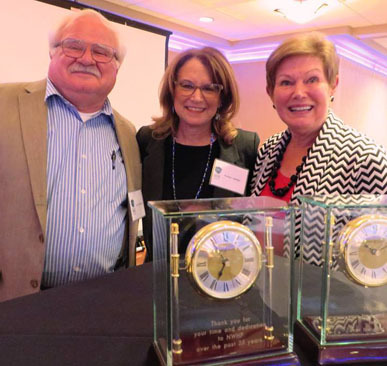 Posted in News and tagged 25th anniversary, Chandler's Banquets, Chicago Tribune, Kathy Gilmer, North West Housing Partnership, NWHP, Steve Hovany.